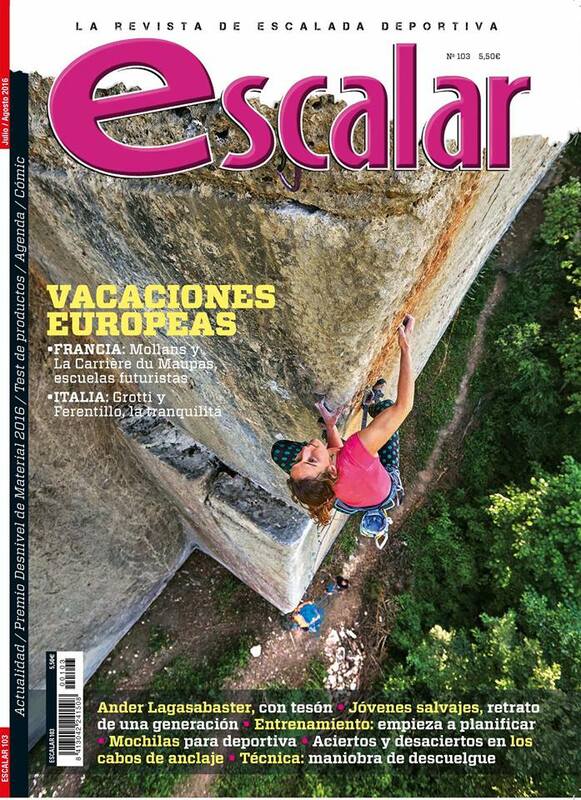 My first cover as a climber. Immortalized by Stef Candé in 2000. My first cover as a photographer. 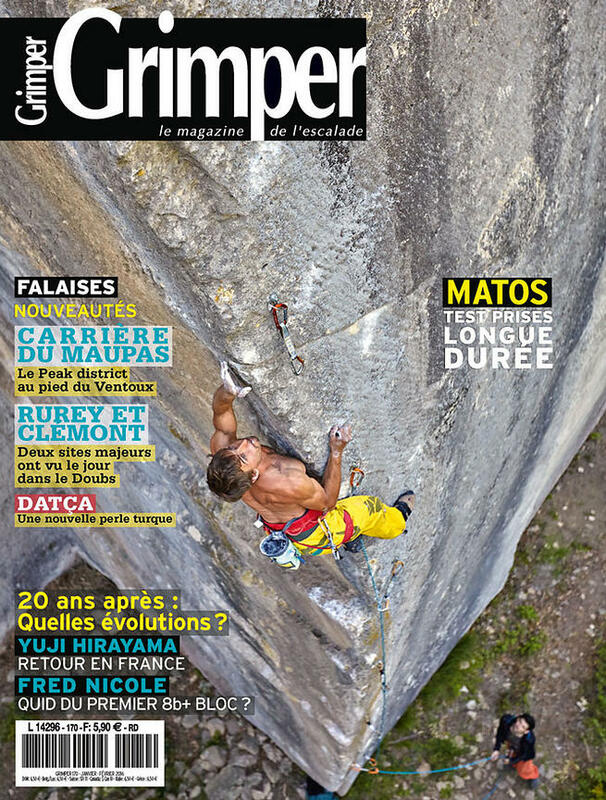 Grimper n°170. January - February 2016. Antonin Rhodes on The Proueman Show, 8b+ at La Carrière du Maupas. Cover # 2. Grimper n°172. April - May 2016. Carole Palmier on Spanish Caravan, 8c at La Ramirole. Cover # 3. Escalar, July - August 2016. Carole Palmier on Slice of Life, 8b at La Carrière du Maupas.